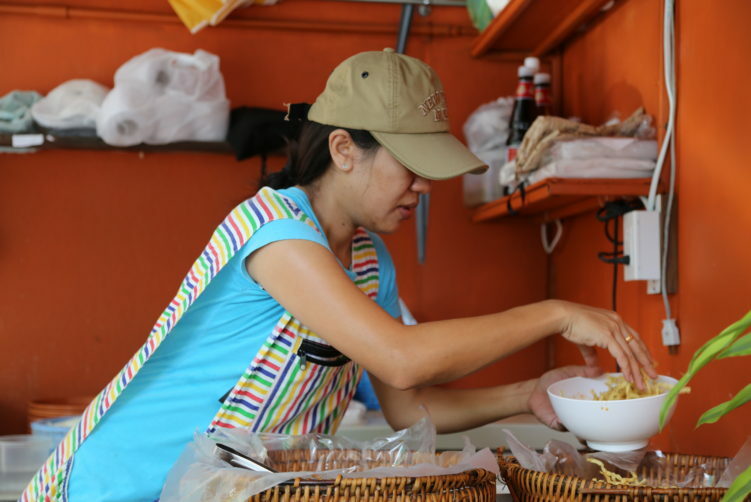 Hann Khao Soi serves a bowl of Khao Soi that will be loved by many. Especially by those searching for a creamy bowl. 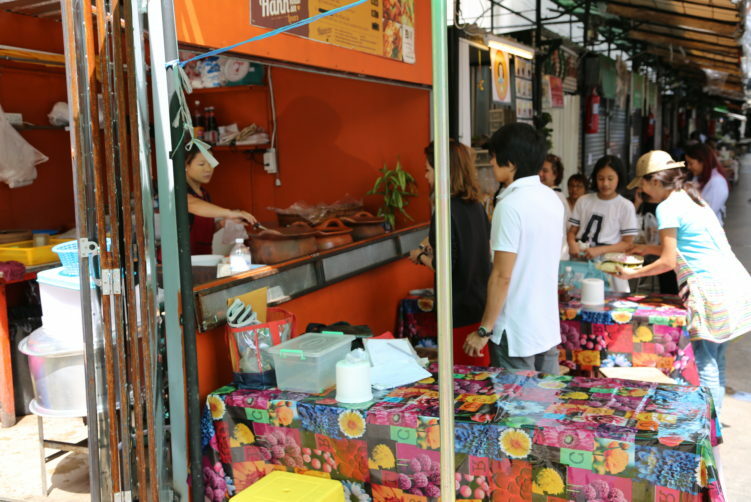 It is one of the best spots in Bangkok, even if it is a tad to creamy for those searching the authentic version. 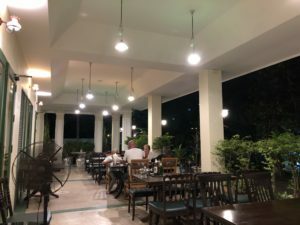 It’s a hard time criticizing them for serving a slightly too creamy bowl as that is what many guests want, especially tourists. But the creaminess means more fat and that is easily covering up on those dry spices used to make this dish. A parallel can be what many vendors do when serving yellow curry crab, they use too much cream and by that hiding the fragrant taste of the white crab meat. To much cream in the Khao Soi will overpower the stock or broth that the coconut milk (and here possible also coconut cream) is mixed with. That said, it is a very good bowl that Hann Khao Soi iputs on the table. The noodles are very good, so is the spiciness of the bowl and they avoid serving it too sweet. The mustards green are not falling behind either, as it does many other places. Not to forget that the chicken drumstick has the right tenderness. I will definitively go back here for a bowl now and then, and next time I will also dive into the nam ngiew, another northern Thai classic. I’m pretty sure it will be good as well. A very good reason to go back is also the close access to skytrain station BTS Ari. The challenge on the other hand is that it is a breakfast and lunch spot that close quite early. The two girls running this joint are charming and efficient and the service much more committing than most food stalls you find around in the City of Angels. How to get there: Take the BTS to Ari Station. A 3 minutes and two stops away from BTS from Victory Monument. 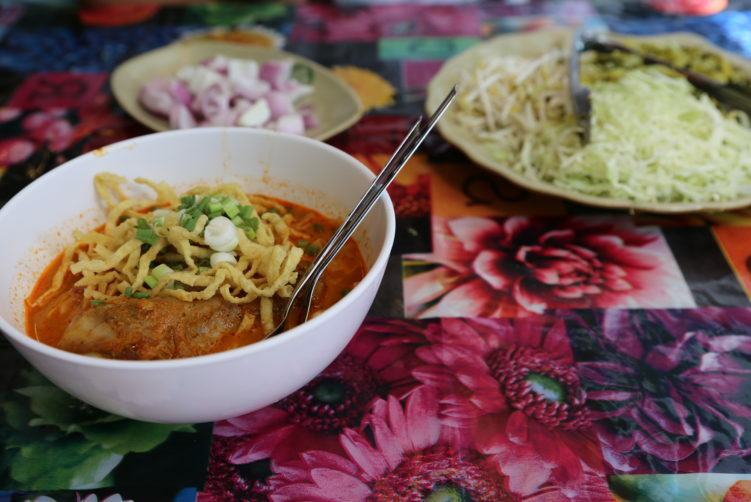 Haan Khao Soi serves a bowl of Khao Soi that will be loved by many. Especially by those searching for a creamy bowl. See full review at StreetsideBangkok.